It’s been 10 years since Hurricanes Katrina and Rita struck the Gulf Coast, and in subsequent years other major hurricanes have devastated Texas’ coastal communities. 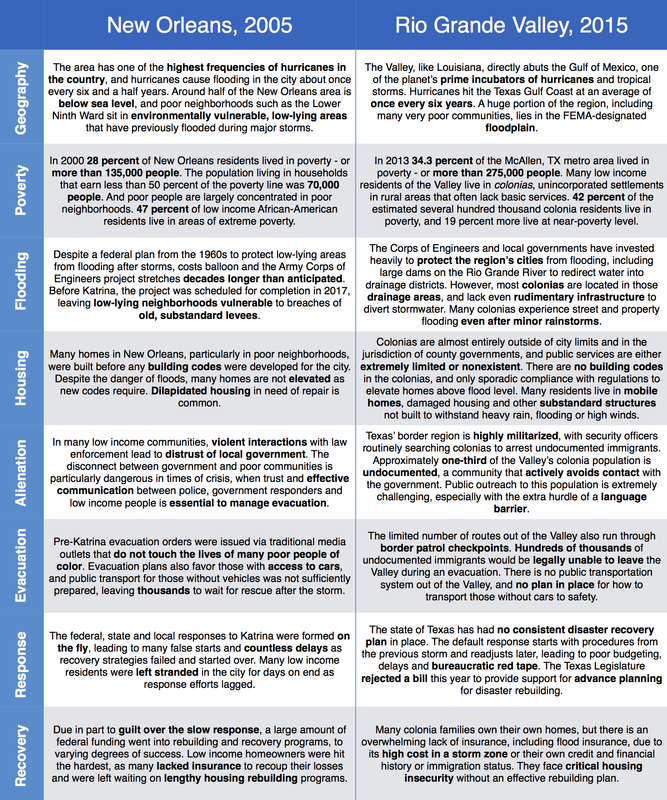 Our partners at Texas Appleseed, looking back over the past decade, have identified how Texas’ natural disasters exacerbate systemic inequalities, both in how low income communities of color are left vulnerable to extreme weather and in the ways that recovery and rebuilding efforts prioritize some communities over others. This entry was posted in State issues and tagged Disaster recovery, Dolly, Fair housing, Hurricane Katrina, Ike, Rita, texas appleseed. Bookmark the permalink.